junk. street sign. baker street. black. wall. 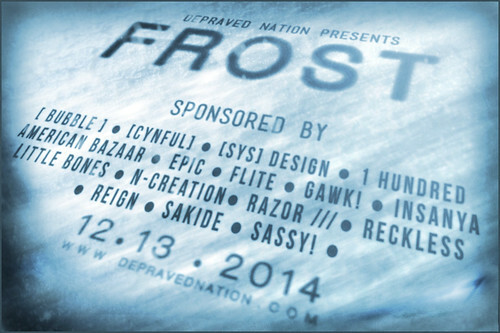 F R O S T 2014 is Sponsored By: [ bubble ], [Cynful] Clothing & Co, [sYs] Design, 1 Hundred., AMERICAN BAZAAR, Epic, Flite, Gawk!, Insanya, Little Bones., n-creation, Razor, Reckless, Reign, SAKIDE, Sassy! Sim opens Saturday December 13, 2014 at 12 PM SLT!